You know the score by now - Mark Webber, in a simulator, on a hot lap of a circuit. This time it's a trip around the Shanghai International Circuit, courtesy of Red Bull Racing. The main man scored a pole position in Malaysia following his time in the simulator, maybe the team should have Mark narrate a full race distance for the Chinese Grand Prix. Or a run down to the first corner at least. Apparently it'll be a wet race, perhaps its time for a weather affected circuit preview. 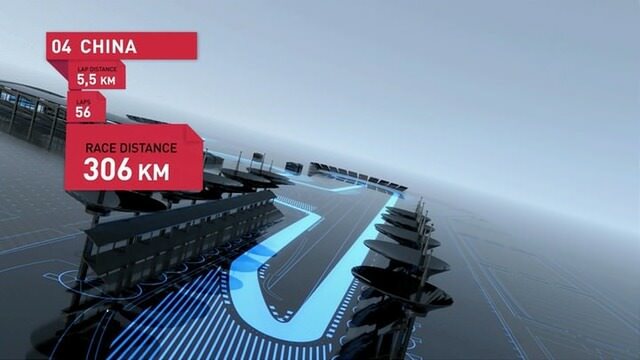 I am curious if the 3D track also happens to be sinking in the virtual Red Bull environment? They have the crowd numbers spot on after all.